Jim Rei, Head of Collaboration and Document Management Services at a privately held international pharmaceutical company describes how fme US help them to support their global OpenText Documentum platform on a global scale. 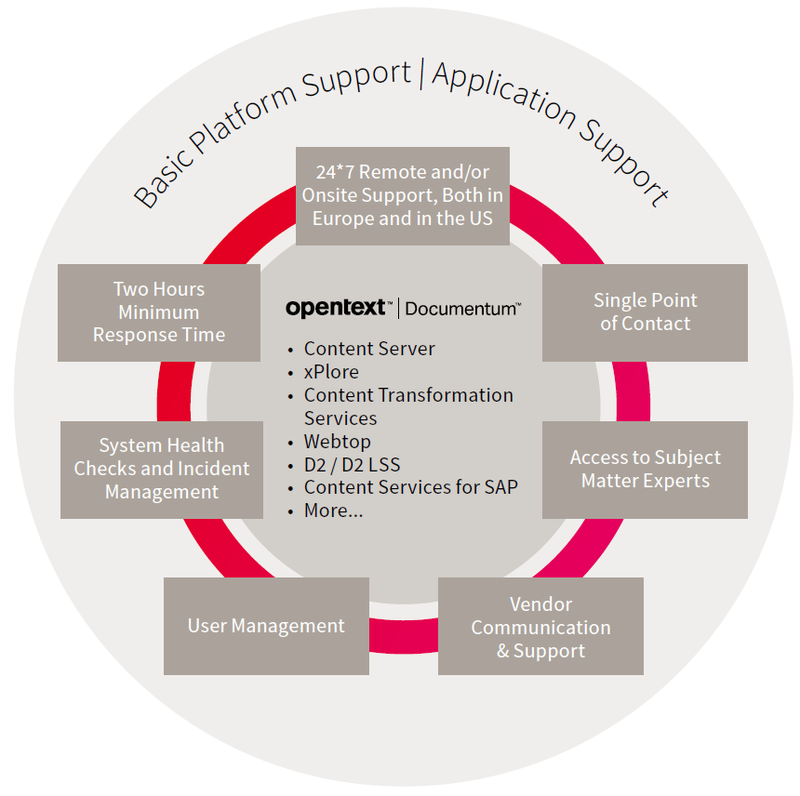 Put us in charge of your OpenText Documentum support and maintenance. Benefit from our expertise in service and lower the costs for your platform operations. The costs for maintenance and operation of OpenText Documentum applications often represent a significant proportion of the available IT budget. Instead of devoting time to necessary IT innovations, in-house staff or external consultants are occupied with support tasks. Specialists with the right qualifications are rare and often disproportionately expensive, particularly for smaller Documentum installations. The outsourcing of support and maintenance for your applications improves the quality of your services and allows you to maintain firm control over the costs for ongoing operations. Take advantage of our expertise combined with cost-effective nearshore services to reduce your operating costs to a sustainable level.